A CANNINGTON organisation helping locals living with mental health issues has been named a finalist in the Community Services Excellence Awards. Richmond Wellbeing is one of four shortlisted in the ‘Large Organisation’ category in recognition of its hard work and dedication to offering mental health support services to the local community. Two other local organisations are among the 31 finalists, with Willetton’s Zonta House Refuge Association in the ‘Medium Organisation’ category and Bentley’s Mentally Health WA Act-Belong-Commit in the ‘Outstanding Commitment to Collaborative Place-Based Services or Solutions’ category. Richmond Wellbeing chief executive Neil Guard said its focus was on supporting those with mental health challenges through outreach and NDIS services, family and carer services, nursing support and accommodation. “We are extremely pleased and proud to be named as a finalist and to be acknowledged by the sector as a leader in diversity and inclusive practice,” he said. “Community service organisations like Richmond Wellbeing make a huge difference to the lives of many people and families, particularly those who experience the greatest adversity and disadvantage. 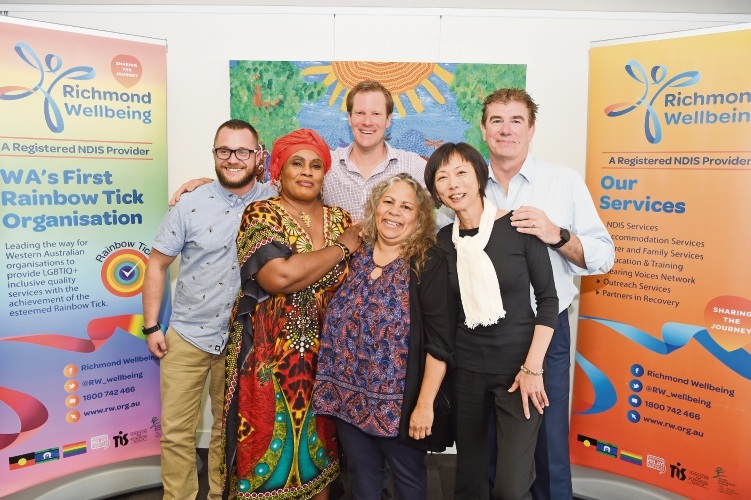 “Over a number of years we have transformed our services to make them more culturally safe and accessible for Aboriginal, CaLD and LGBTIQ+ people and communities.